SKU: cd-gc-ind-lessons. Category: Gift Certificate. 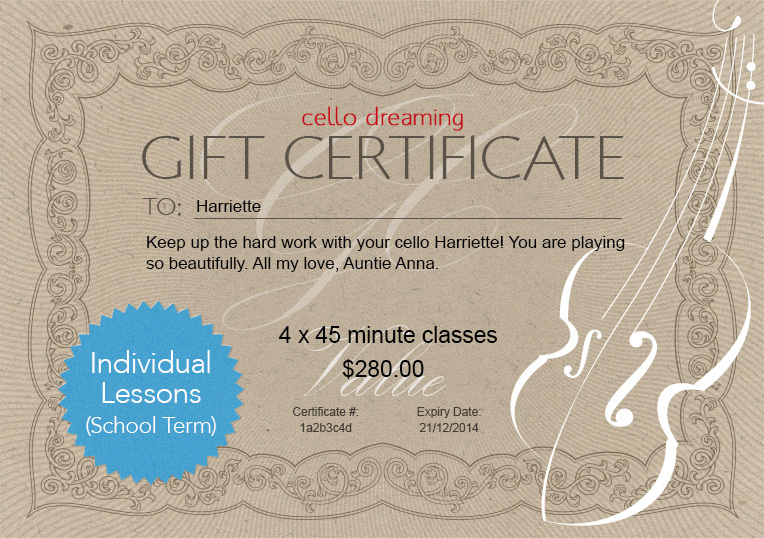 Ideal for cello students who want a regular learning program, consistent individual attention and musical development. Fast-paced, motivating, detailed and inspiring, these lessons are an essential ingredient to training a musician in the art of cello playing. Music theory and general knowledge is taught as an integral part of lessons. Optional performing opportunities offered throughout the year.